„Peace in its complexity can’t have a final result or statement. It’s an ongoing, ever changing process, a balance that can’t be understood without the reflection on war at the same time than peace. #WhatBringsPeace goes far beyond the topic of peace and war. 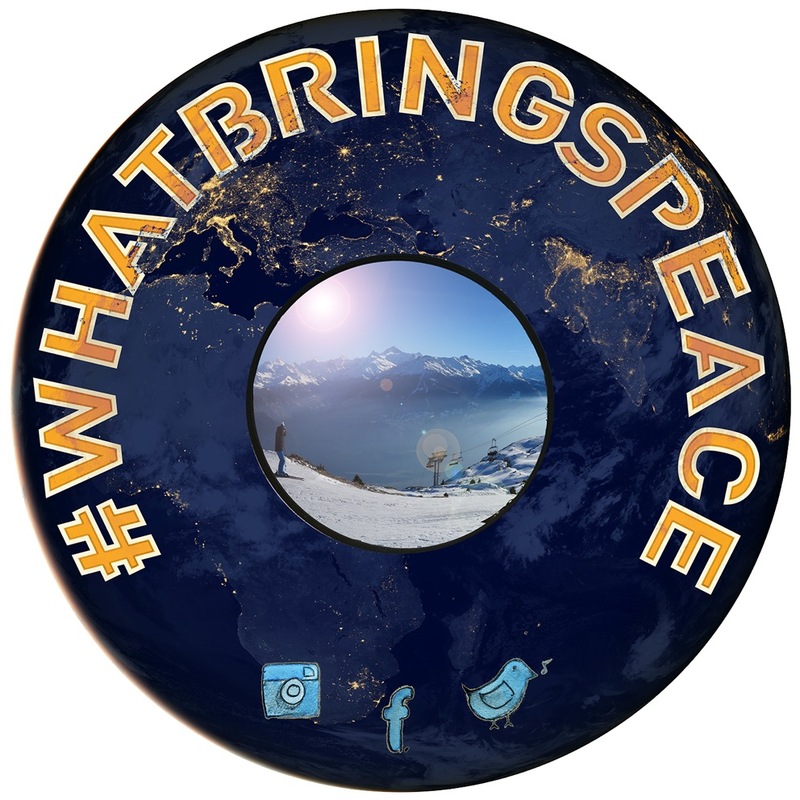 #WhatBringsPeace is about individual and global reflections of whom we are, of how we act on a daily base as well as on our actions and thoughts on a global scale. #WhatBringsPeace is about raising awareness on fundamental questions of identity, roots, globalization, unification, peace and war. Furthermore Roescheisen implicates a more video art-based artistic approach by conceiving non-verbal interviews. Non-verbal interviews are defined for example as dance performances or musical compositions on the same topic of peace. Musical support so far in the form of compositions include: Laurent Levesque, Emmett Skyy (verbal and non verbal), The Shoes and Benoit Dunckel (AIR). „I thought by conceiving this project entitled “#WhatBringsPeace”, that I could finish this project in a year. Different events forced me to enlarge my vision; ongoing travelling and interviewing had an impact on me, both physically and psychologically, as did giving up my home in order to fully commit to this project.,… lack of fundings and promised support finally forced me on my knees in May 2017. It took me a while to stand up again. I felt like I was letting down everyone that opened their houses and their hearts to me; that shared their stories and that believed in the project. The weight on my shoulders and the responsibility I felt was immense. I felt like I was failing everyone involved, as well as failing myself – until I understood a whole new dimension to the concept of “failure”, thus peace. We never fail – we simply learn to not judge our actions and efforts and to receive true love and compassion from people that don’t judge us for the things and actions we thought we could control. But… we don’t control things. It’s our egos that try to control our hopes. Meanwhile, all I was asked for was to be, to be authentic and true with who I am and with who you all are. And here I am speaking the truth to all of you, who followed this project and who supported me since the beginning and to all of those that I don’t know yet. This all happened thanks to you, and I want to thank you all for having been such great teachers to me, consciously and unconsciously. After all I am here, together and side by side with you, moving forward…I am not any different from all of you, – just a simple artist with a lot of questions. I am aware that this is not an easy path, but I am going it together, with you, with the same shared sufferings, pain, anxieties, joys, humbleness, compassion and lots of love. What brought me peace so far was to be dragged down on my knees. It was a violent moment at first, and now, with a little bit of distance, I can’t express how grateful I am that this happened. Peace is a complex topic and my ego dragged me so far in, that I thought I could dig into this topic in only one year. I understand now that peace needs a humble approach with a lot of patience. #WhatBringsPeace will continue, in the way that peace “deserves” to be looked at – engaged with and understood: organically, with patience and time …with space for a natural evolution that is and goes far beyond my ego or any control that I could put on this project. This project is not mine – it’s as much yours as it is the project of this world. Therefore #WhatBringsPeace has no end date.